I have a Assets fieldtype within a Matrix fieldtype column. Is it possible to list subfolders for the uploads dir? ATM, I only get top level folders as per the attached screenshot. Im my Images folder, I have News and Product subfolders...I'd like these listed if possible? Not the answer you're looking for? Browse other questions tagged matrix assets or ask your own question. 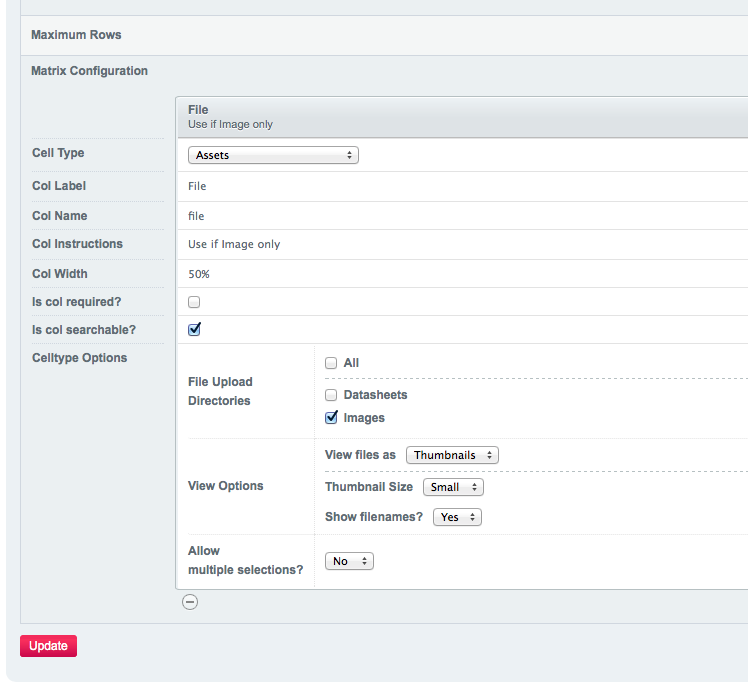 With Assets 2 is it possible to restrict upload access to a folder within an S3 bucket?